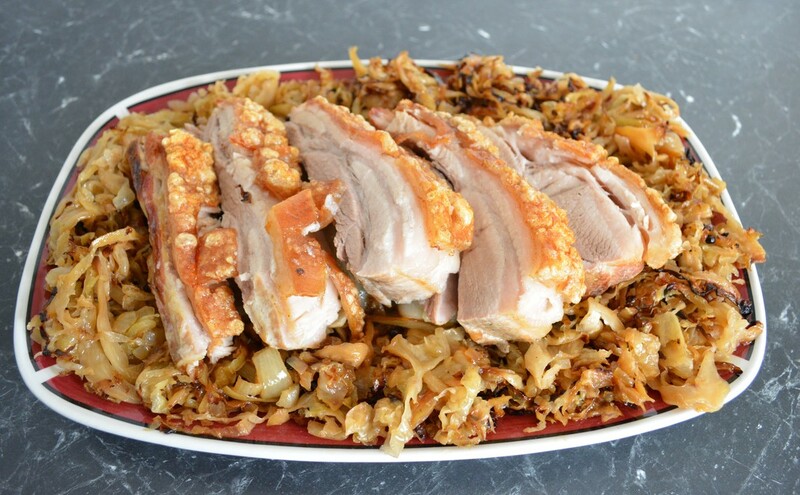 This a dish my mother has been making us for years, we absolutely love the combination of pork and sauerkraut. This I love as after a little prep work, it cooks itself and leaves you free to do other things. Simple, delicious, and something you should try soon. 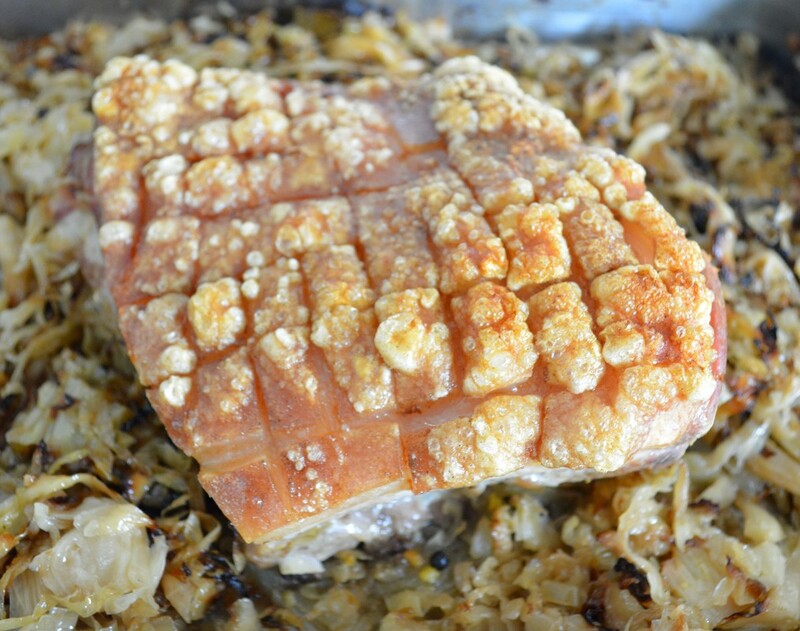 Season the pork belly all over with salt and pepper. Put 1 tablespoon of olive oil on skin and rub all over. Place in the centre of a large baking dish. In a bowl mix together the sauerkraut, carrot, capsicum and onion. Add the extra olive oil, vegeta, salt and pepper mix well. 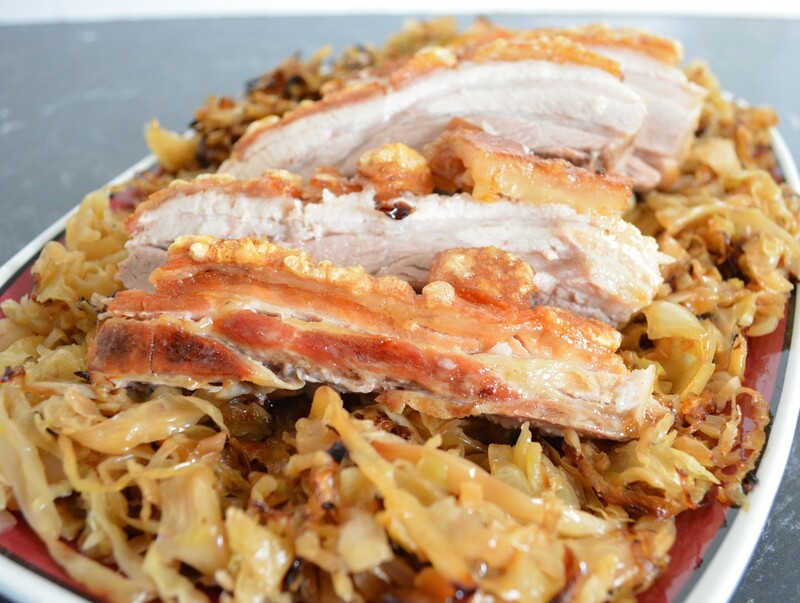 Place in baking dish around the pork belly. 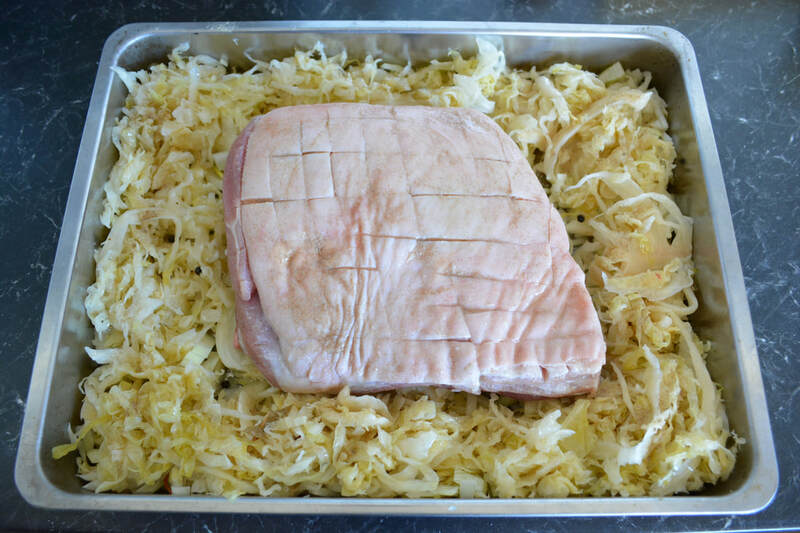 Cover the sauerkraut loosely with aluminium foil, do not cover the meat. 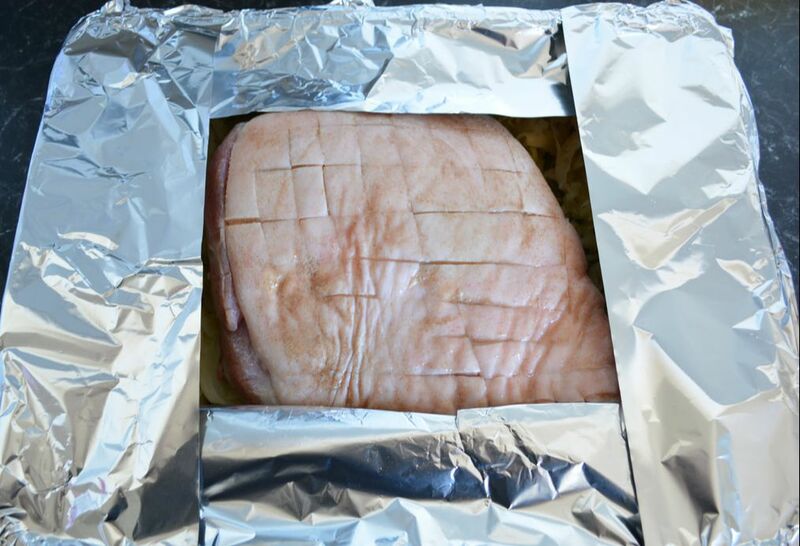 Once baked, if you crackling isn't quite perfect, you can turn on the grill for a few minutes to help this along, if it is, slice and serve with the sauerkraut.